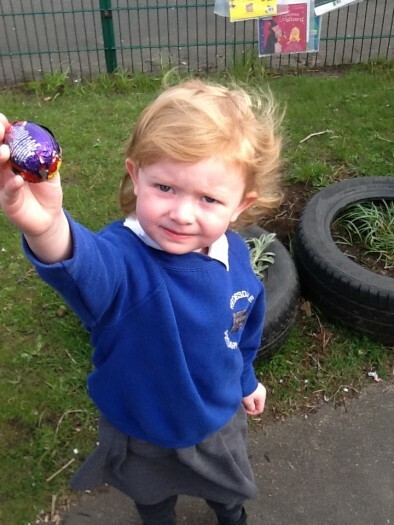 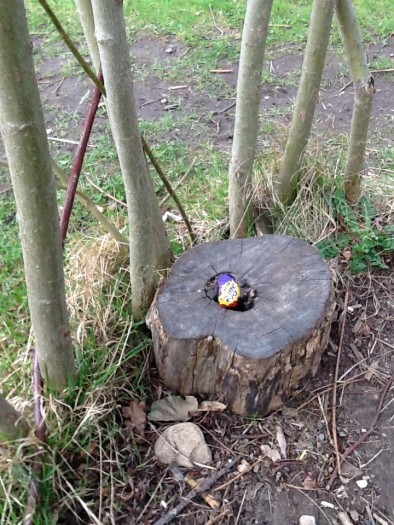 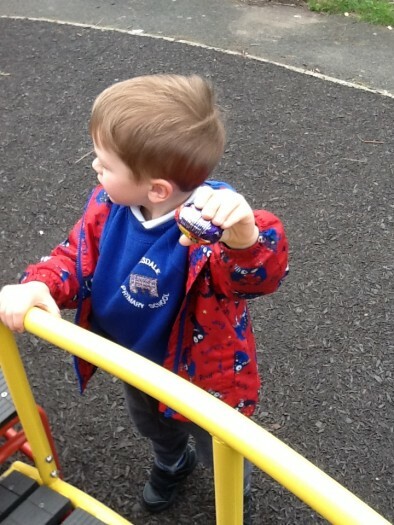 Redesdale Primary School » We’re going on an Easter Egg hunt….! 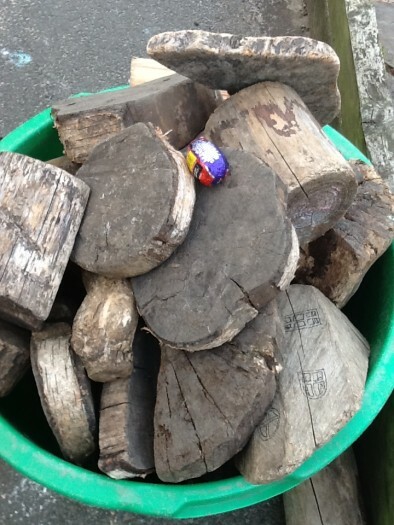 We're going on an Easter Egg hunt....! 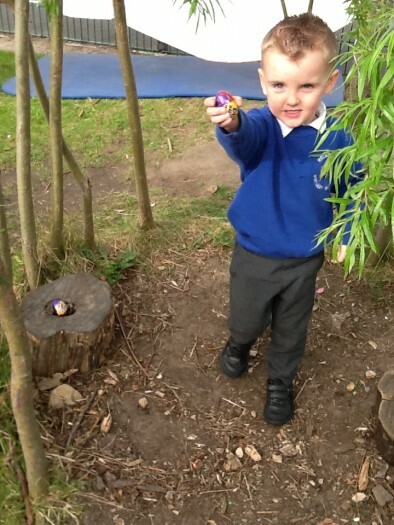 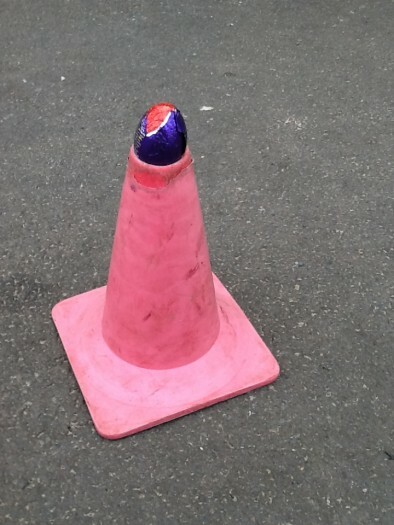 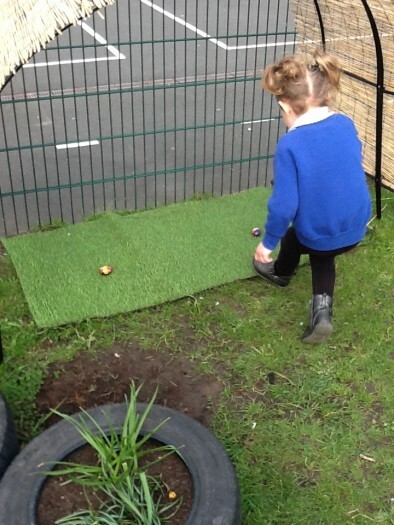 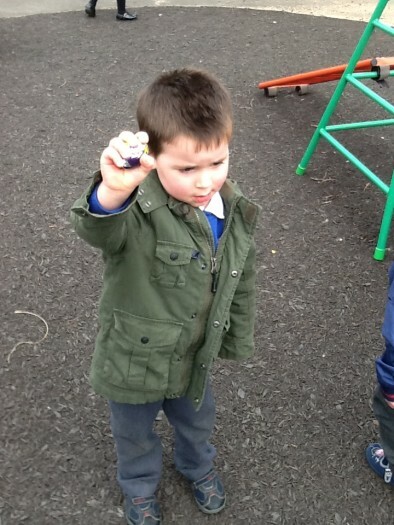 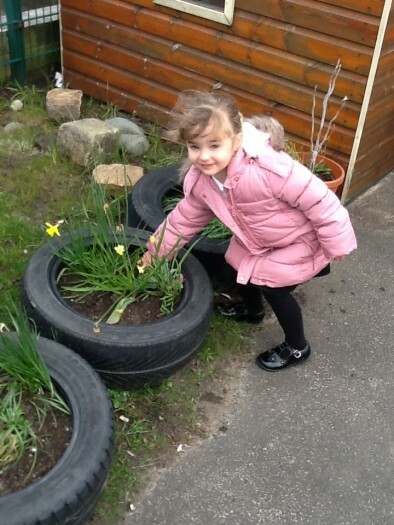 The Nursery children received an email from the Easter bunny telling them that he had left eggs for them to find! 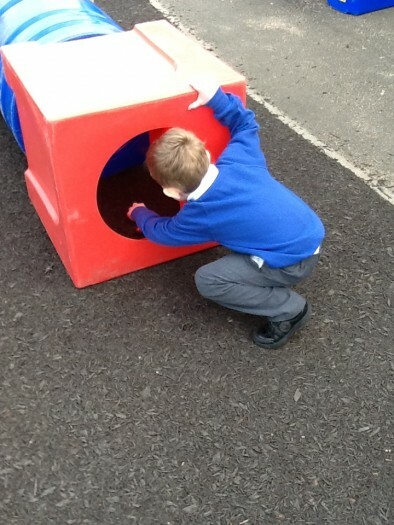 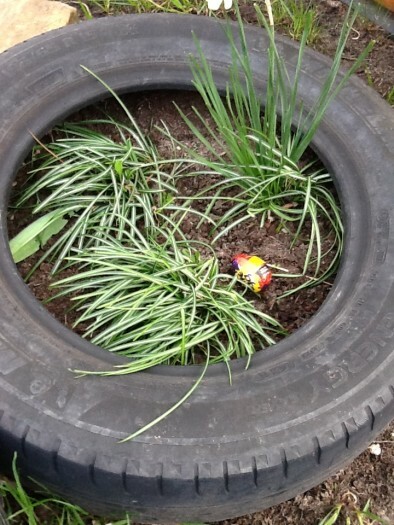 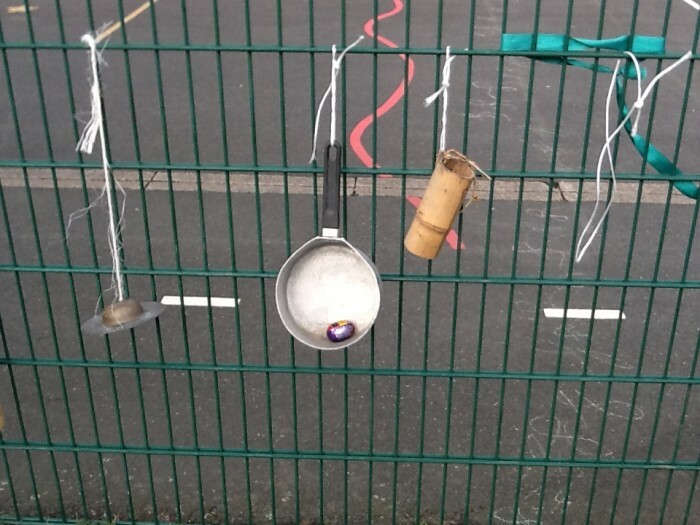 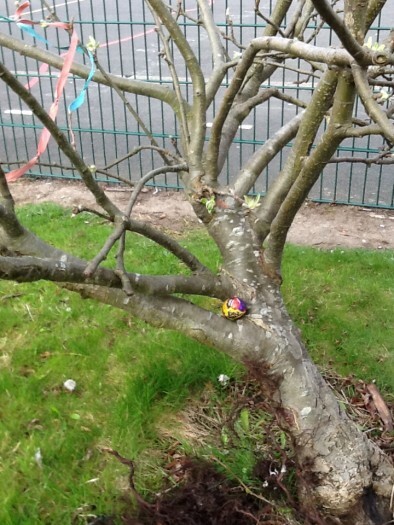 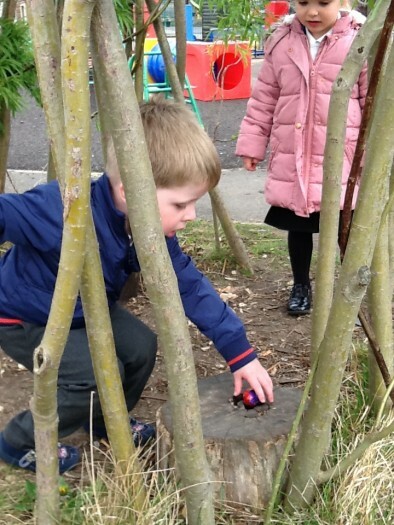 We searched all over the outdoor area and found them in some unusual places – one was in a tree! 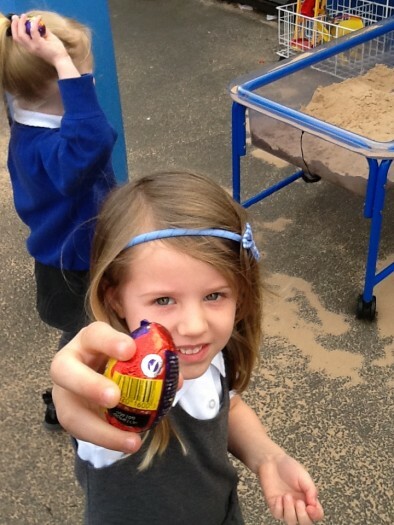 Great fun has been had by all.